1. Get on the Find-a-ProAdvisor® website. Included in your ProAdvisor membership is the ability to create a profile on the Find-a-ProAdvisor website. Do so immediately! There is a mysterious algorithm that elevates your profile to the top of the page, but factors include certifications, reviews and years in business, among others. So, even if you don’t prefer desktop, get that certification anyway because it will help boost you to the top of the list. You get to write a little description of yourself and your business. Don’t be boring. Be different. What can you say to make your profile stand out? Be creative. Ask an existing client to write a review for you. Don’t be shy about it. We live in a reputation-based online world. If you’ve done a good job for your clients, they will be happy to write something. The more reviews you have, the higher up you’ll rank. Another tip – people tend to choose the profiles with pictures. They want to see what you look like. A professional headshot lends authenticity to your profile. 2. Partner with a CPA firm. Most CPAs do not want to deal with a messy QuickBooks® file. They want one that’s already cleaned up and reconciled when they start a tax return. They won’t even touch a shoebox full of receipts. This is your chance to shine! Find a CPA that’s near your office. That makes it even easier for your mutual clients. Go in with some home-baked cookies (or something fun) and introduce yourself. Let them know you’re a certified professional who would love to help them out this year. Go now so they can be thinking about you before it gets busy. Don’t wait until March when they’re too overwhelmed to talk to you. Start building that relationship now. A subcategory to this one is to partner with another bookkeeping service. There is always enough business to go around. Get to know other services in your area. Chances are, they would love some extra help at tax time. Again, develop that relationship now. 3. Teach a class. Your local chamber of commerce or community college may be looking for someone just like you who can teach QuickBooks to their small business members. Even if they already have someone doing this, it can’t hurt to make yourself known. Teaching a QuickBooks class provides you with a captive audience who needs your expertise. Many times, the business owner will want to learn how to do the bookkeeping, but would much prefer you do it for them. If the QuickBooks slot is already taken in your town, offer something else: why it’s important to reconcile, deductible or not deductible, or sales tax in a changing online environment, for example. Think of something you know that business owners need to know. Organizations are always looking for speakers. 4. Build an engaging website. How many times have you looked at a business website and said to yourself, I still don’t know what they do? I have. Make it clear and obvious that you are in the business of helping people with their bookkeeping via QuickBooks. If you’re trying to attract small businesses who use QuickBooks, make it easy for them to find you! Even if you’re good at content and know how to use the website software, hire a professional to at least look it over and give you pointers. You don’t take out your own tonsils, do you? Get help! 5. Network, network, network! I cannot stress enough the importance of networking! Every small business on the planet needs you. They may not know that yet, but they do. The best thing you can do is get in front of them. Shake their hands. Exchange business cards. Follow up the next day. Potential clients are not going to come knocking on your door and ask if you know anything about QuickBooks. It’s your job to get out in the world and tell them you know everything about QuickBooks. Remember, once you get that ball rolling, it gains momentum on its way. Clients bring you other clients. Connections grow exponentially. Just get yourself out in the world. And, don’t forget to have fun! 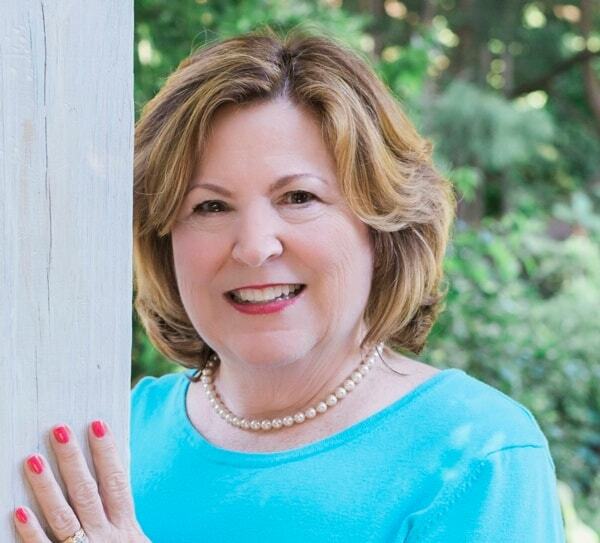 Susan Pruskin has been using QuickBooks since 1995 when she first took a floppy disk (!) out of the green box and shoved it into the A drive. More than 20 years later, she’s consistently named to Insightful Accountant’s Top 100 ProAdvisors list. She holds advanced certifications in desktop and online QuickBooks products and is celebrating 10 years as a trusted advisor helping small businesses understand their financial information.